The most handsome Orc ever? This is what a bit of shampoo and soap does for the Orc men! “Soap Orcs?” you may well ask. What, didn’t you know? Soap Orcs live in the Earth’s core and they’re quite fed up of not having any soap; the stench of BO down there has gotten so bad they’ve had enough and intend to invade Earth to get their hands on the best types of soap. How do Professional Moron know all this? Why, fools, it came to us in a dream! A dream of marauding invaders grunting “Ug!” and “Me smash stuff wiv club!”, and “Me like soap! Me eat soap!” – it was a hellish nightmare beyond the realms of even Elvis’ imagination. Truth is soap is pretty damn ace. Ernest Hemingway once said, “The world is a fine place and worth the fighting for and I hate very much to leave it.” (presumably this is before he passed out drunk) well Professional Moron’s very own Mr. Wapojif once said, “Soap is a bit weird but it’s worth elbowing folk out of the way for as, you know, we don’t want to all stink of body odour.” So, what will we all be fighting to the death for? Soap. Yes, but what about it? Read on, dear lady/sire! Soap comes in many forms, although traditionally it is made out of salt and aspic. Other ingredients known to be used are; jam, cheese, toothpaste, and Bovril. Legendarily, Marie Antoinette used to eat soap as she often mistook bars of the stuff for chunks of gold she used to chew on. Incidentally, the myth she said “let them eat cake” is just that. A myth. Spoilt and silly she may have been, but she did nary mention nothing about peasants eating cake. However, she did (possibly) say this, “Let them eat their stinking old socks, the damn proletariats!” In French, of course. Ho ho ho! Off with their heads! 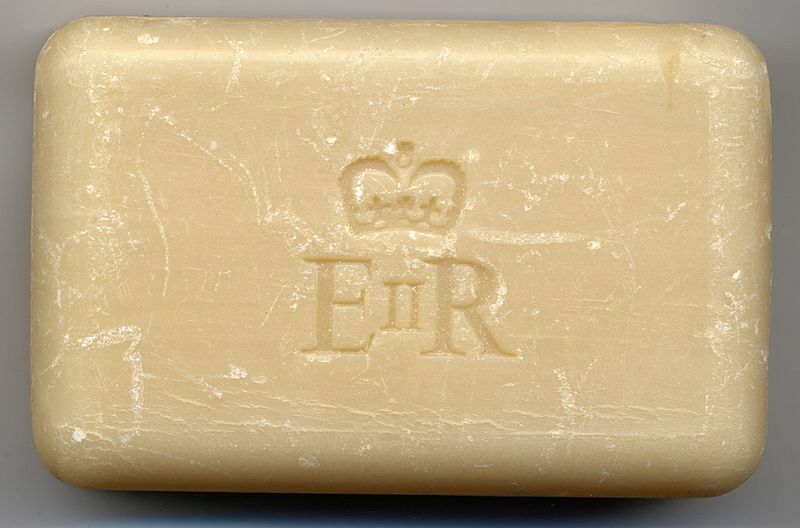 “Er” soap is popular around the world. “But what about the Soap Orcs!?!?!? !” you wail in panic. Never fear, minstrels, as the truth is the Soap Orcs (being a bit thick) don’t know they’re not as well equipped as humans are. Whilst your average Orc wields an axe, sword, or spork, we humans are in the possession of nuclear warheads, machine guns, bazookas, semtex, pistols, shotguns, missiles, TNT, profane language, marmite, and confusing limericks/stories. It is said an Orc will spend up to five hours attempting to decipher the story of Humpty Dumpty. Effectively, then, any attempt they make to invade our bit of the Earth is already doomed to failure. Ha! Hahahahahahaaaaa! It’s artsy shots like this that have driven the Soap Orcs wild with envy. However, this should be a lesson for all of us. There is a moral to the story here, and we think it’s something like this; never envy anyone else’s soap as it has probably got their skin flakes all over it any way. And, at the end of the day, when all is said and done, what it boils down to, in our own personal opinion is that, at the end of the day, we should just be happy with the soap bars we have. Or something. And, please, DON’T eat your soap bars! Next Which Celebrity Body Part Do You Envy?